Yes, we may be located in Ohio, but that does not mean we like the Cavs. The Cavs had a rocky season finishing with 50 wins and 32 losses. Due to this less than impressive season, they placed fourth in the Eastern Conference. The Raptors and Celtics finished in the top 2 spots both with win percentages significantly higher than the Cavs. Yet somehow Cleveland is progressing in the playoffs like nobody’s business. The Cavs beat out the Pacers and the Raptors, but have the hardship of facing arguably the next Eastern Conference finals team: The Boston Celtics. The Celtics were loaded up the entire season, but unfortunately their star point guard, Kyrie Irving is injured leading to them having to turn to Terry Rozier. However, Rozier has stepped up. The Celtics were able to beat the 76ers and now have a 1 game lead over the Cavs. Whoever wins this game will win the eastern conference and head to the NBA finals. After game one the Cavs found out just how good the Celtics are at home. Talk about a home court advantage, the Celtics are almost undefeatable in Boston. During the regular season this matchup was highly talked about as the Celtics acquired Kyrie Irving, a key part to the championship team that lead Cleveland to a national title. However, Kyrie Irving felt that he had more potential and wanted to get out of the starlight of the “king” so to speak, Lebron James. And Kyrie Irving lived up to his potential. There were some doubts that maybe Irving couldn’t do it but he proved the doubters wrong leading his Celtics to the second spot in the eastern conference. He also did a great job in coaching up star rookies Jayson Tatum and Jaylen Brown. 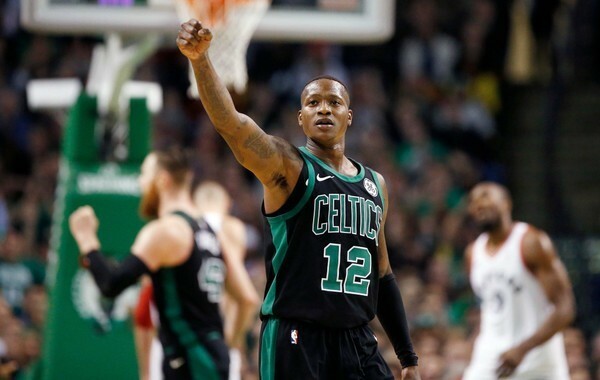 In Irving’s absence, the rookies along with Scary Terry have been able to pick up the slack and have put Boston in a very advantageous spot to beat the Cavs and advance. The Celtics know very well that the Cavs power is heavily dependent on LeBron James. If the Celtics were to take James away from the equation, the finals are easily graspable. In game one, Lebron James was limited to only 15 points while Jaylen Brown had 23. The final of the game was 108 – 83, Boston with the win. Everyone loves a good underdog story and the Celtics are it. With key veterans Kyrie Irving and Gordon Hayward going down, experts said that the Celtics should hope for a better season next year, but boy were they wrong. Hopefully Boston can put Cleveland in its place and go on to win the title, this will be decided in the coming days on ABC!